Twisted Tools is very excited to announce the arrival of POLYPLEX 1.1 - an eight-part drum sampler with extraordinary randomizing, layering, and design capabilities, now with enhanced workflow features and five dedicated single 'unit' instruments. If you already own POLYPLEX, the free update to v1.1 is now available via the NI Service Center. If you don't, now is the time to dive deeper into rhythm. 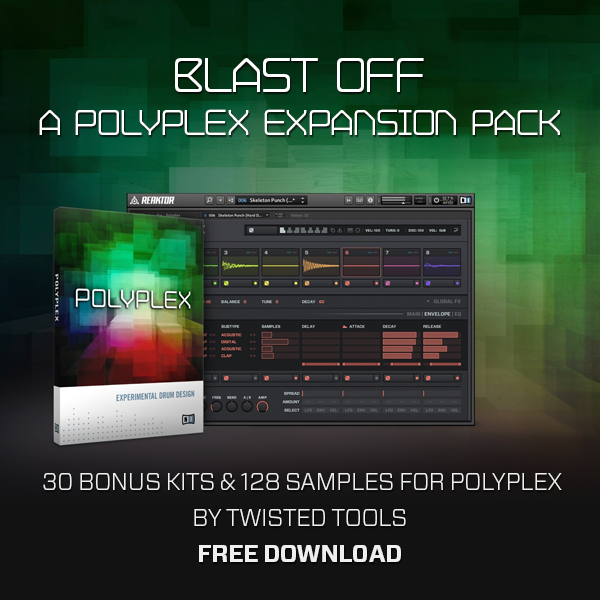 To celebrate the arrival of POLYPLEX 1.1, Twisted Tools has created a free expansion pack called BLAST OFF, featuring 30 bonus kits & 128 samples.